Young Salima Barrow was apprehensive as she witnessed her mother , Mrs. Kim Simplis Barrow, go thru the fight of her life. She wanted to do something to honor her mother and wanted to raise funds while raising Cancer Awareness. I spoke to 7 year old Salima tonight and she is excited to be able to contribute in some way. She said she wanted to do something “a long long long time ago, from she was 3 but her mommy would not let her”. She made me smile. I am sure in her mind, her mother must have been battling Cancer for as long as she can remember. Children have simple yet powerful ways of articulating their feelings. Salima is only 7 and time is relative for her. A year of missed events with her mom must have felt like forever. Salima knows the importance of raising funds to help with the life saving treatments for kids with Cancer. 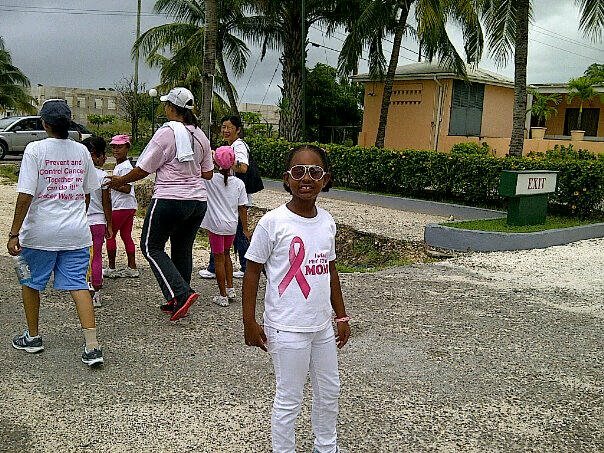 Salima is a young lady with a plan to raise “lots of money” for cancer. She also wants to meet the kids affected by cancer. When I was a child myself , I witnessed too many of my own family members afflicted, so I wholeheartedly embrace and endorse her drive. Please assist Salima, along with a few of her friends,(Haley, Abigail & Gianni) and the generous sponsorship of Bowen and Bowen, in a worthwhile fund raising event to help fund the Children’s Cancer Wing. I have pledged $100.00 and hope you can donate or support her initiative by attending the event and purchasing a few drinks. Remember, Cancer is a disease that does not discriminate. 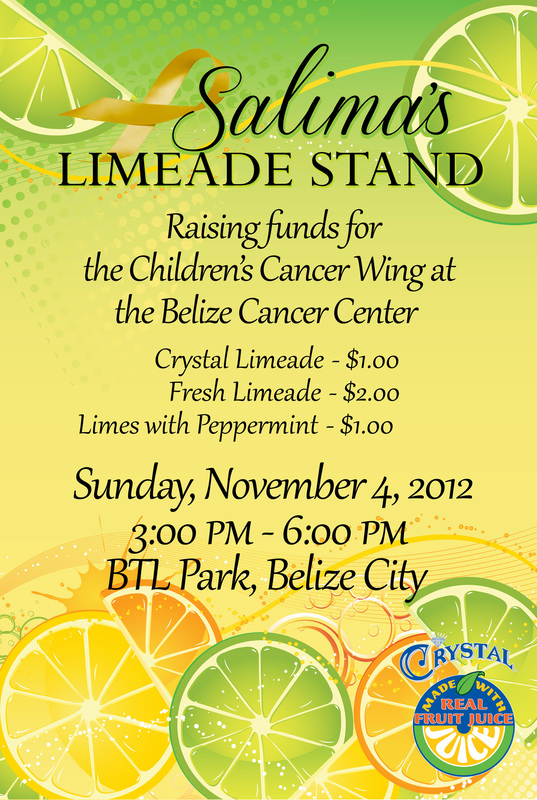 Salima’s class from Hummingbird Elementary School will also be having a similar event on November 30, 2012.